Did Phil Lord And Chris Miller Leave Han Solo To Direct The Flash? For reasons unknown, Warner Bros. has been having one hell of a hard time getting The Flash off the ground. It’s lost two directors since being announced and is still without someone at the helm. Not to mention it also doesn’t have a release date to call its own yet. Suffice it to say, it’s been a very rocky road. Let’s rewind for a bit, though. First, Seth Grahame-Smith came and went, as did Dope helmer Rick Famuyiwa, forcing Warner Bros. to quietly pluck The Flash from its original 2018 release slot and place it on the shelf, where it’s remained ever since. That being said, over the past few weeks there have been some promising signs of progress, after Matthew Vaughn (Kingsman: The Golden Circle) Sam Raimi, and VFX whizkid Robert Zemeckis all became linked with the troubled standalone pic. Still no word on whether Warner Bros. has reached a final decision – mind you, Raimi has reportedly bowed out of the race due to issues with scheduling – but the latest report to tumble off the rumor mill suggests that the studio may be going back to a familiar choice. That’s right. Way back when, in 2015, Phil Lord and Chris Miller were attached to develop The Flash, but eventually walked away from it to helm the Han Solo spinoff. As you no doubt by now though, the 21 Jump Street duo made a shocking move earlier tonight when they announced their exit from that galaxy far, far away, citing creative differences as the reason for their departure. With only three weeks of principal photography left though, that doesn’t make a whole lot of sense. Could there be another reason for their exit, then? Why yes, there just might be. 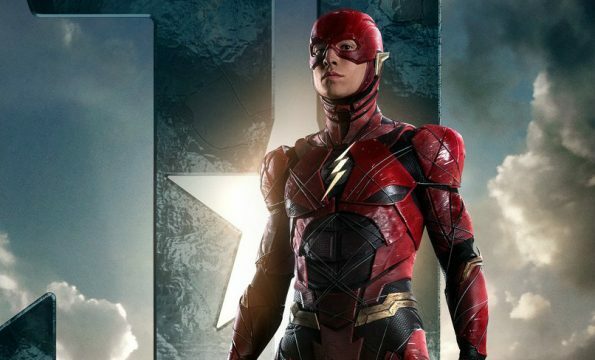 According to The Wrap, Lord and Miller met with DC recently about directing The Flash. Now, this doesn’t meet that the papers are signed and they’re fully on board, but it’s certainly suspicious that they’ve been meeting with the studio around the same time that they’ve removed themselves from Han Solo. Is it just a coincidence, or did DC make them an offer they couldn’t refuse?